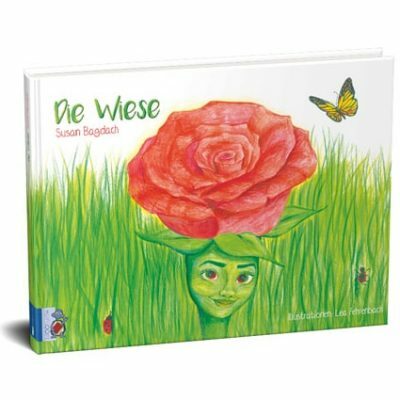 The eco-friendly children book “Die Wiese” (The meadow) shows the importance of diversity. For this reason we offer you seed bombs for free – for a diversity of plants, animals and humans! You win already flowers, bees and fun. But the main prize is a bee sponsorship. For one year you sponsor your own bee community. You’ll get a certificate and a personal honey jar! Very simple: put your seed bomb on a piece of soil somewhere and take a photo or note the address. Post this on the Facebook page of @blooturtle – and you have a chance to win! To double your chances, post also a photo when your flowers are growing on @blooturtle! – And don’t forget to like the FB site of blOOtutle! Where do you get the seed bombs? If you live in Europe, you’ll get a seed bomb with every order at blOOturtle online shop within the promotion duration. Be fast: the seed bombs are limited! If you live somewhere else or if you just like doing it yourself, we prepared you a little tutorial here: DIY Seed bombs. Enter in the competition to win your own bee sponsorship with certificate and your own honey jar! The draw will take place on the seventh of july 2018 and will be make public on the facebook site as well as on the website. The winner agrees to the release of his name. The winner needs to contact blOOturtle within 14 days to get the prize. Otherwise the claims to the prize expires.